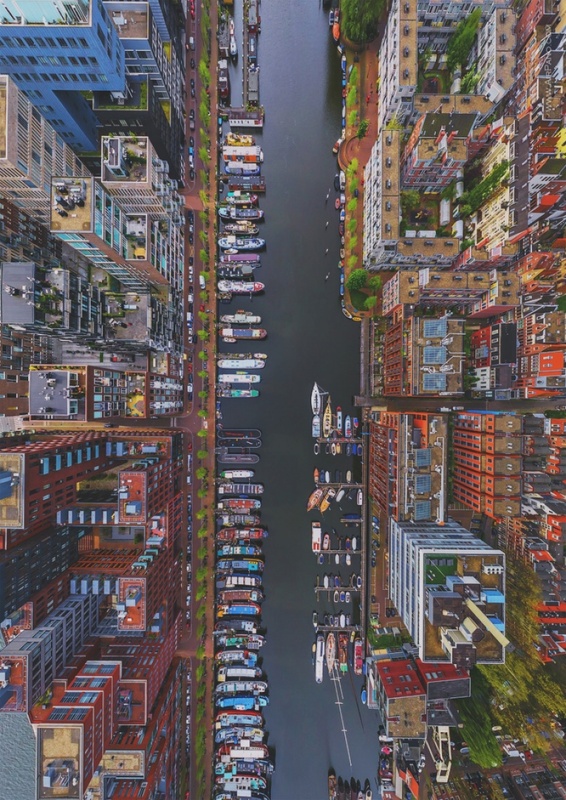 Posted by ImEeZr, this captivating image of Amsterdam’s Westerdok district captures the true essence of an amazing bird’s eye view. From the distinct geometric symmetry to the remarkable colors of the buildings and boats that seem to pop off the page, there are plenty of visual effects to pull viewers in. Whether you’re glancing over the edge of a building or looking over the edge of a table top, positioning and support structure are essential for bird’s eye view photography. Make sure to be aware of your surroundings, and always ensure you have a good grip on your camera. After all, you paid good money for your equipment, and you wouldn’t want to ruin it over a simple oversight. Amazing! I am dreaming about fabulous pictures! Great tip about using a good grip.